Scadoxus multiflorus, some common names for it include Blood lily, African Blood Lily, Torch lily, Paintbrush Lily, Football Lily, Powderpuff Lily or Fireball lily. I am not sure if it belongs to Lily family, though the common name are all with “lily” but the flowers don’t look like lily. The Blood Lily is a South African native with over 200 flowers at the end of a single stem. The blooms have very narrow petals that can be distinguished from the stamen only on close inspection. The blooming Blood Lily lasts for 2 weeks in the summer and prefers partial or heavy shade. Each plant will produce only one flower head in a season. I will cut off the old leaves once flowering period is over. Blood lily is a bulbous plant with leaves on short, speckled stalks. The flower stalk bears a rounded inflorescence, 8-12 cm across. The plant may live for many years and will flower annually even planted indoors. During the growing season the plant needs bright light, if possible direct sunshine for two hours daily. 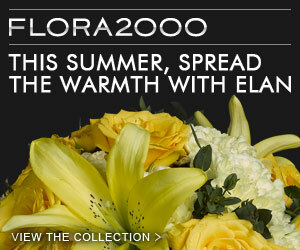 A weekly and lovely event to show off the flowers you like. Wow..These kinds of lilies look awesome. I wish If I could grow this in my own garden. Keep it up the good work. 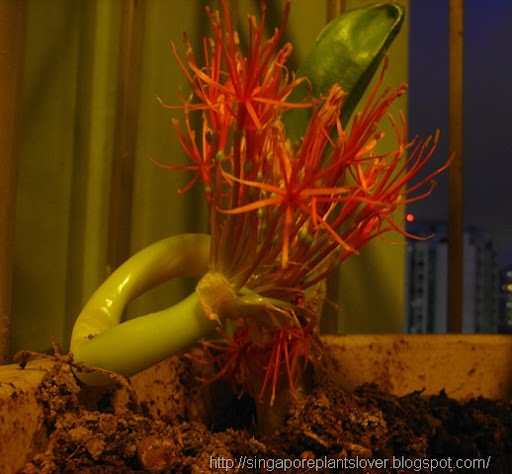 hi, do you know where i can get blood lily bulbs in singapore? they don't seem very common! I am not sure where can get blood lily bulbs in Singapore, but I have one can pass to you, I am not able to contact you from your link.